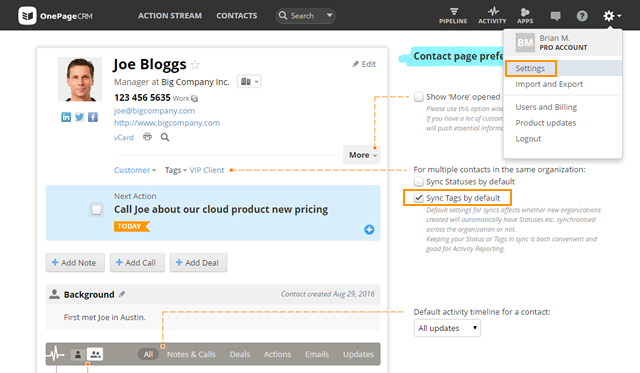 Keep your Tags in Sync for all users working in the same organization. Open Contact view and click on Edit to the right. Select the Sync box beside the contact's T ags and click Save. Go to the gear icon → Settings → Preferences select to Sync Tags by default. 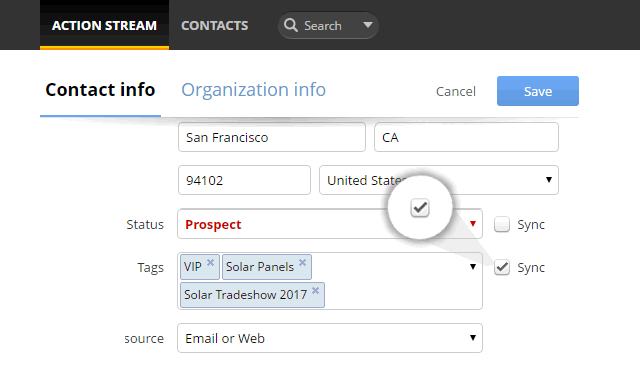 All tags across all contacts in an organization will be automatically synced. Sync Tags is switched off by default. If you switch it on for all contacts across all organizations, it will automatically sync for any new contacts and organizations. Existing contacts and organizations will need to be set manually by following the steps in the first section above but will stay in sync after. 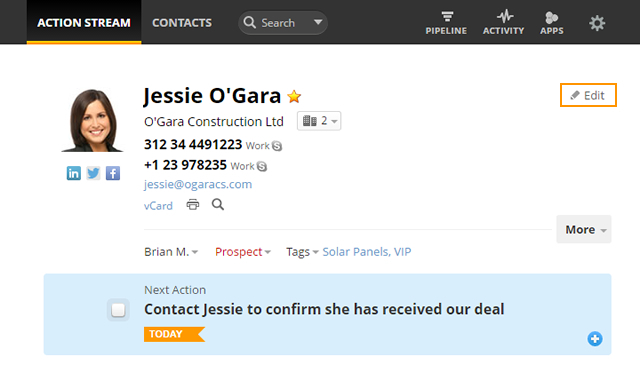 Tags from all contacts will be combined and appear under every contact in that organization.